First, we have a classic oatmeal raisin cookie. I took the recipe off of my package of oats. 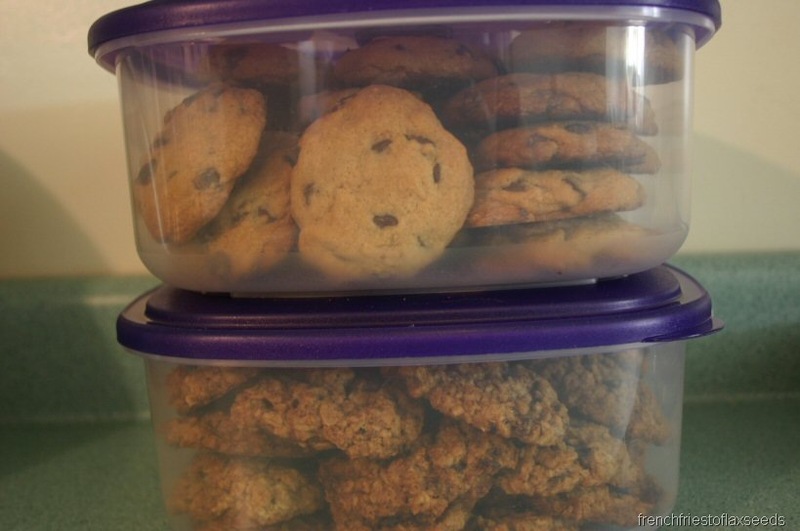 It worked out perfectly, because I had 3 eggs in my fridge – the oatmeal raisin needed 1, while the chocolate chip needed 2. I’ve never actually made an oatmeal raisin cookie before, so I didn’t have a go-to recipe to use. These turned out pretty well I think. They are soft & chewy, which is how I like my oatmeal raisin cookies to be 🙂 Check them out up close. Alas, there were not as many people at the BBQ as planned, and another person had made this whole ice cream cookie sandwich cake thing that was huge! I figure it was best to just serve that, and not worry about my (amazing) cookies. But look how many cookies I have! To give you some idea of scale, each of those containers holds 2.5L (or 95 oz)! That’s alot of cookie! I guess I’ll be freezing alot, and taking some to work, because even if I wanted to, I couldn’t eat all of that before it went bad. I would be on one major sugar high! Sorry for not having any fun food photos of things I ate today. I did have a proper meal at the BBQ, and it’s sitting alright, but I’m still queasy. Perhaps a cup of tea will help that out? Well, that’s about it for this evening. Off to enjoy the last few hours of the weekend with some tea and reads. Or perhaps Dr Mario 😉 Night! Those cookies look wonderful! 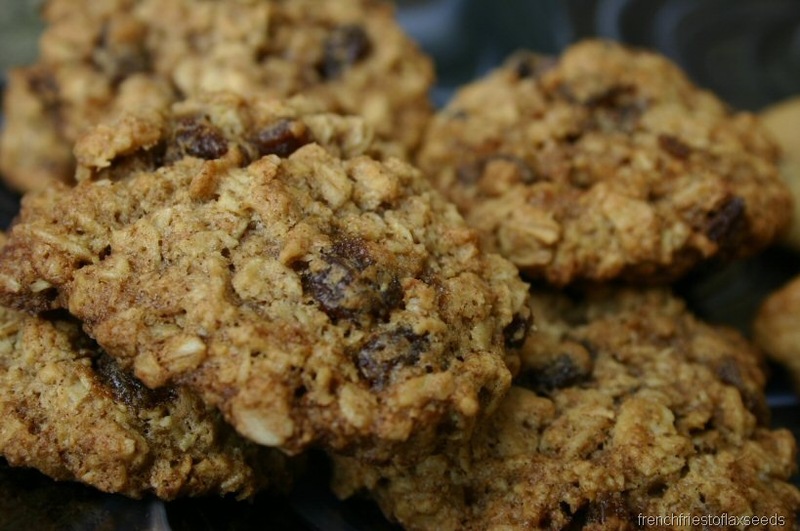 I love soft & chewy oatmeal raisin cookies…so much better than the overly dry ones. So many cookies! I love oatmeal raisin so much. Chewy and delicious. 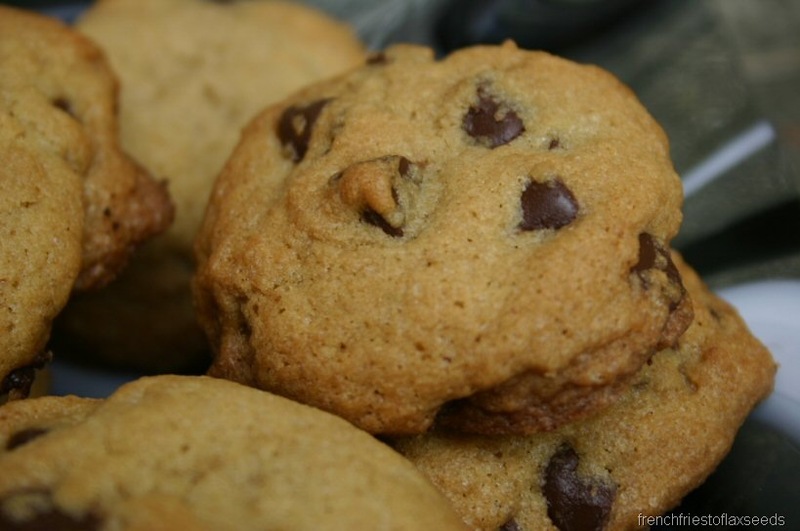 I would’ve passed up the other ice cream-based dessert for your cookies! They look fantastic. 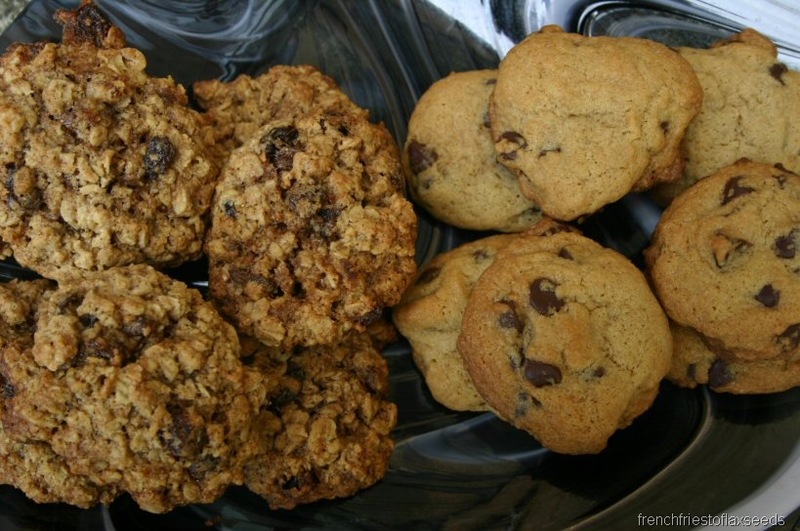 I love a nice, chewy cookie, and it looks like both the oatmeal raisin and the chocolate chip turned out fabulously! I’m always the dessert bringer too but I NEVER bring the extras home. I’m the annoying person who’s like, “here take some home to your husband/boyfriend/roommate/mom/dad/etc!” Looks like you’ll be enjoying some delicious cookies though!! AWWHH, I still would have served your awesome cookies!!!!! I want some1! LOL! They are THE best. Lady, you make some purty cookies. 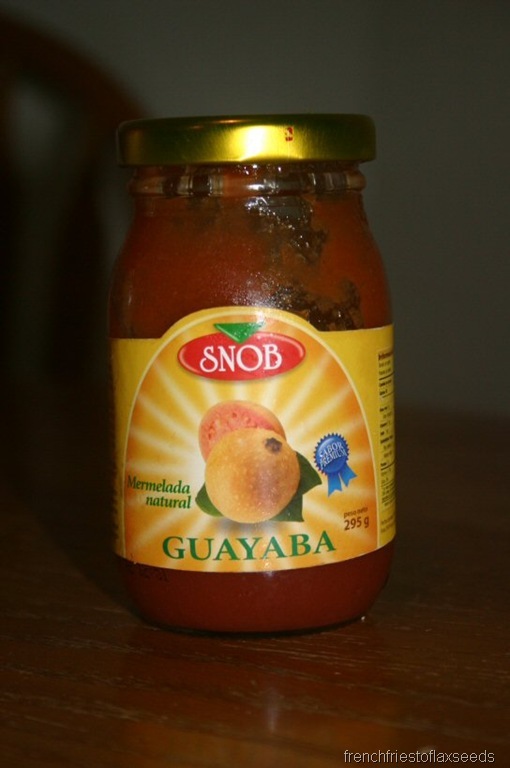 Haha, love the brand name on that guayaba jam!